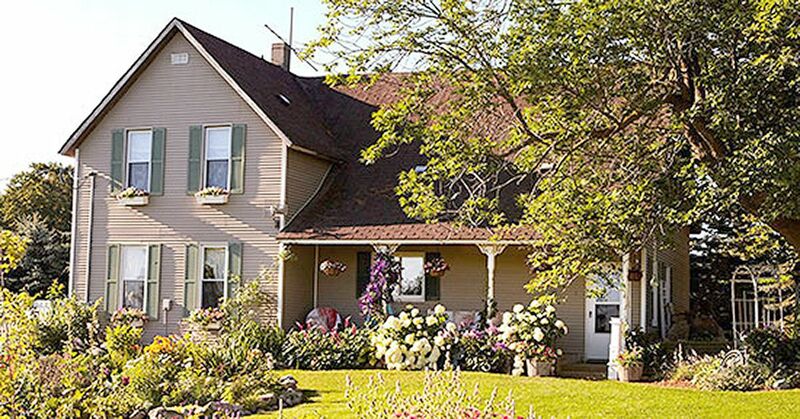 The exterior of this 1800s farmhouse is in beautiful condition, but it doesn't hold a candle to the absolutely charming interior. 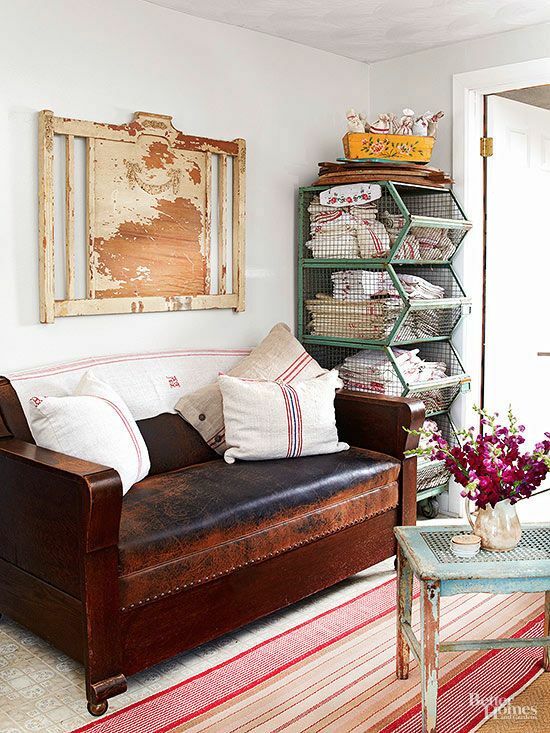 The owner of the home filled the interior with all types of antiques and trinkets that gives the inside of the home a charm unlike many other homes. The house was inspired by old farmhouses that filled the European countryside. 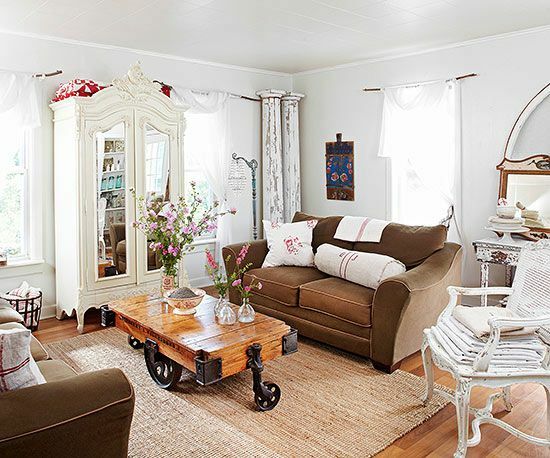 In the living room, for example, the coffee table was made from an antique railway cart. The white wooden chairs and wardrobe are antiques as well. The green wire vegetable cart has been given a new life as linen storage, and an antique headboard gives the room a focal viewpoint. 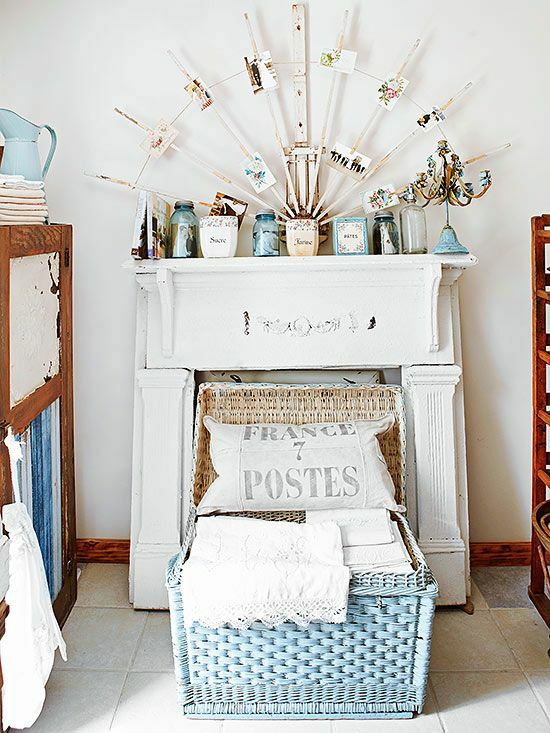 The fireplace now houses the farmhouse's wedding photo -- the photos are mounted to an antique drying rack. 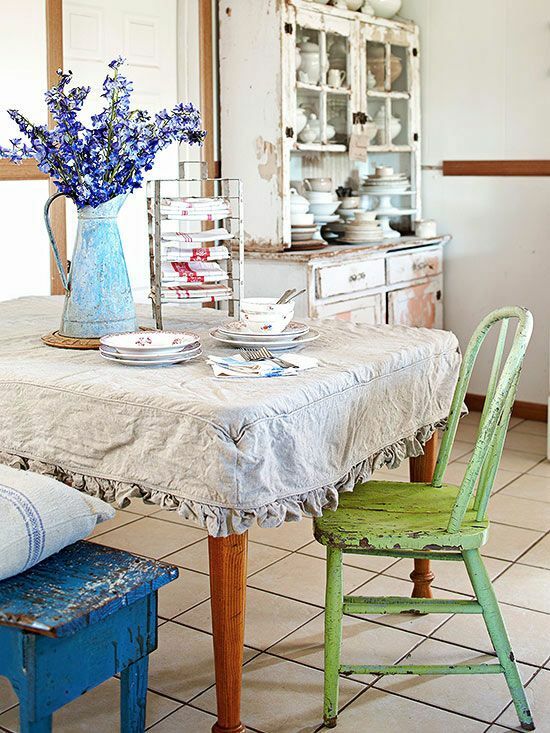 A farmhouse table with a unique covering calls the kitchen its home. Notice the antique dish storage in the background. 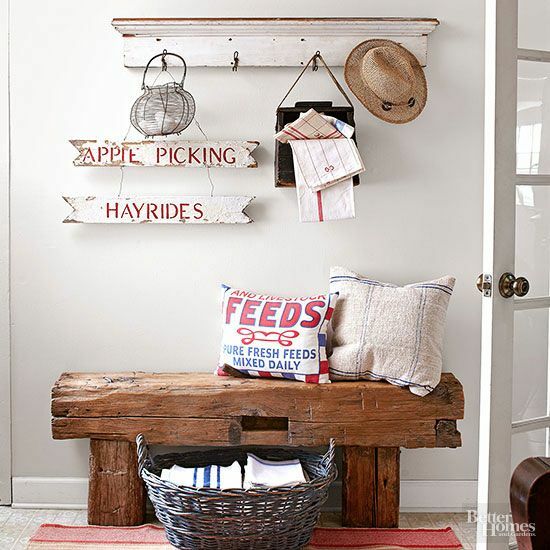 The home's mudroom features a beautiful wooden bench and an antique wooden hayride sign. The master bedroom features burlap bed skirts and an antique medical tray serves as the bedside table. Did you love this home as much as we did? Make sure to share it with your friends!